A water-based silicone-free moisturizer, you don’t say? Well, wonders never cease! Though everyone loves well-hydrated skin we find that many lotions and potions leave us with breakouts among other concerns. Drunk Elephant’s lightweight formula is sans fragrance, oil, silicone, and leaves skin dewy without a trace of greasiness. 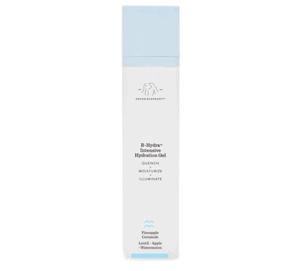 Panthenol (Vitamin B5), Sodium PCA and Sodium Hyaluronate (the salt form of Hyaluronic Acid) not only boost hydration levels but also help calm and sooth. Other key ingredients include unique plant extracts from the likes of Apple, Bearberry, Pineapple, and Watermelon to provide advanced free radical protection. The light-weight lotion also comes housed in airtight and opaque packaging with a pump dispenser as a preventative measure against ingredient degradation. Although it is a little on the pricey side, we have a feeling that many – especially those who have combination, oily, acne-prone skin, or even those who are looking for something lighter for the warmer months – may have met their new best friend. Looking to explore more ways to hydrate skin? Make sure to check out our in-depth guide that covers the benefits of anti-aging creams and more.